The aim of SciELO in Perspective blog is to share information and knowledge oriented to the development of scientific communication, in particular, of the SciELO journals, SciELO national collections and the SciELO Program and Network. It also promotes the open access movement to scientific knowledge. 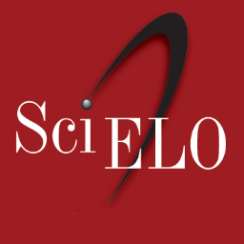 The prospect is that the blog become a reference vehicle to the community related to SciELO and to the communication and evaluation of scientific research. The blog will cover topics related to scientific communication, eg. indexing of journals, bibliometrics, scientometrics, management of journals and their editorial processes, training and updating in academic publishing, marketing and dissemination, social networks, public policies on research and scholarly communication, open access, etc.. The SciELO in Perspective blog is open to contributions from publishers, researchers, and information and communication science professionals and students. You can be an occasional or systematic collaborator submitting articles, review articles, assays, news and comments. Open Access article processing charges: a new serial publication crisis? Is it possible to normalize citation metrics? How do researchers and journalists in Brazil relate to each other?